The 2016 National Hardware Show is an influential show for professionals in the business of global hardware tools. 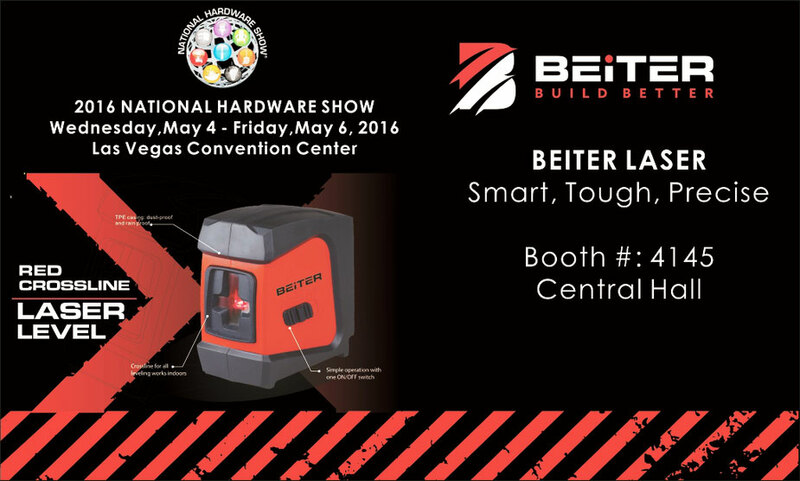 As a professional laser level manufacturer, Beiter specializes in top quality lasers for 12 years and gets independent R&D ability. During this international exhibition, Beiter is going to make a comprehensive show with high tech products, good service and the smart-home technology. Come to visit us in Las Vegas, USA!! It has provided different kind of articles to join in the national hardware show. That all given with the beiter Las Vegas convention center usa and that everything help you to understood the assignments.